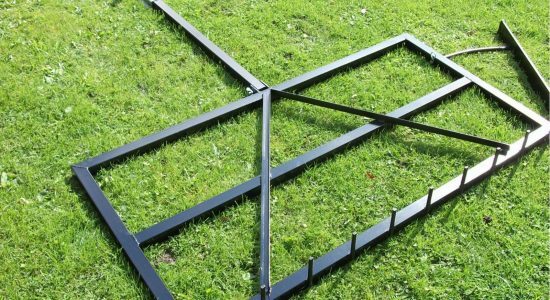 All our equestrian arena levellers are engineered from the finest materials using heavy gauge box section, angle iron and solid round bar for the scarifying rake tines, they are incredibly strong and will last many years and can be pulled by just about any vehicle. Tow bar models are fitted with a removable towing bar with a trailer coupling fixed at one end which attaches to any standard 50mm tow ball found on most vehicles. 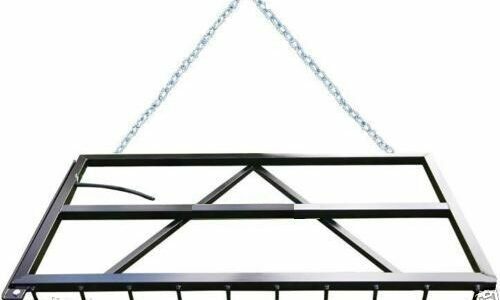 It gives a more stable and straight tow eliminating side to side movement and bounce. All our levellers have a pivoting bank blade on one side which pulls out and locks into position to pull in and level the loose chipping/sand build up from the edge of the arena with a bevelled deflector to prevent any damage to the boards. 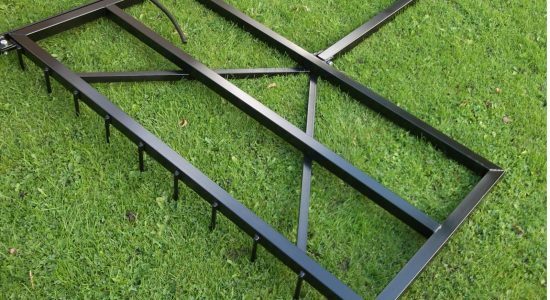 Levellers come as standard in a black semi gloss hard wearing finish, we use a high build durable enamel paint which has extremely high protection against all weather elements. 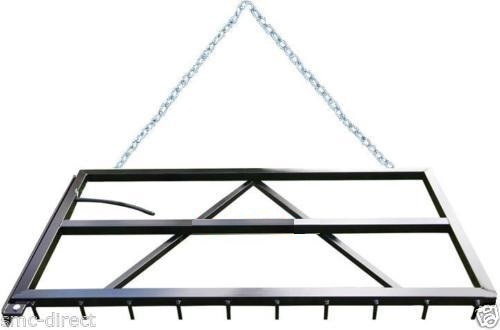 Chain Pull Leveller is engineered from the finest materials using heavy gauge box section and solid round bar for the scarifying rake tines, they are incredibly strong and will last many years and can be pulled by just about any vehicle – Tractor, atv, pick up, 4×4, even a ride on lawnmower! 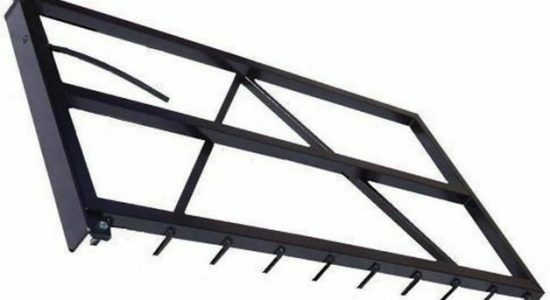 The Chain Pull Leveller is ideal for towing behind small vehicles such as quads and ride on mowers this rake is light weight with no moving parts designed to easily be lifted by a young person and is ideal for small arenas to top dress and rake the surface. 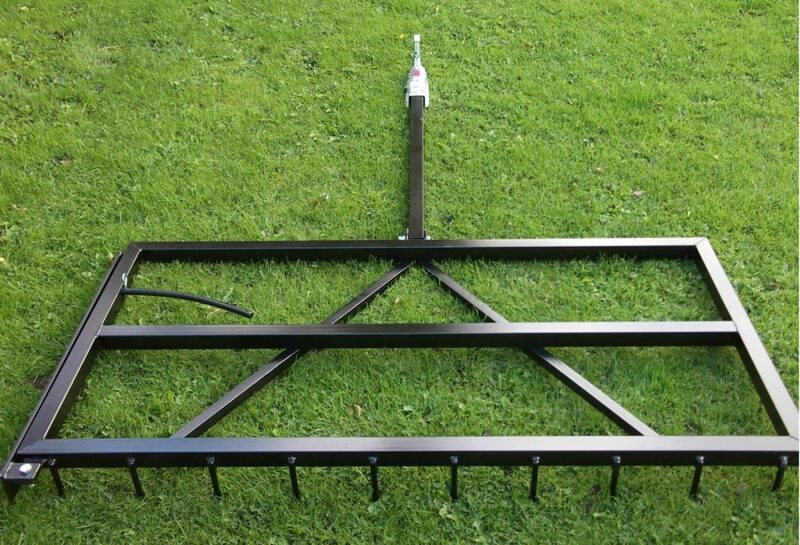 *Also very effective on gravel driveways to rake out gravel and rake leaves and works great as a harrow on paddocks to scarify and regenerate grass and knock down mole hills. 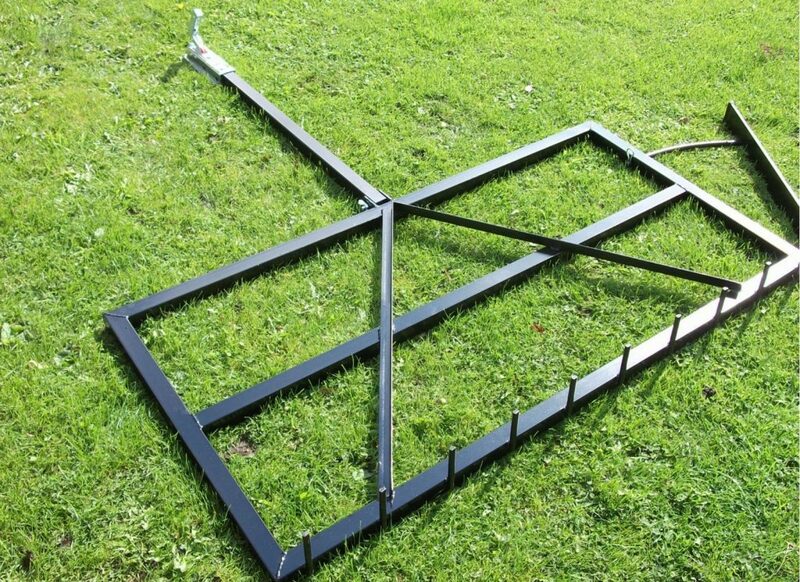 The arena levellers are 5FT wide x 3FT deep, one side has a row of solid round bar scarifying tines which hang off the edge of the frame by 50mm these loosen build up and level out the arena the other side can also be used for smoothing out the top surface once you have raked the entire arena. 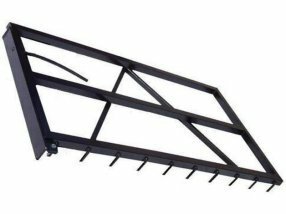 Whether you have sand, rubber chip, small wood chip, small fibre strips or sand/fiber mix this tow bar leveller will leave an excellent finish every time. 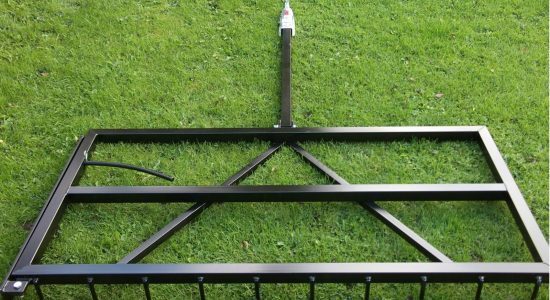 Tractor 3 Point Pro leveler is engineered from the finest materials using heavy gauge box section, angle iron and solid round bar for the scarifying rake tines they are incredibly strong and will last many years, this model is designed with a 3 point linkage frame to connect direct to your tractor. 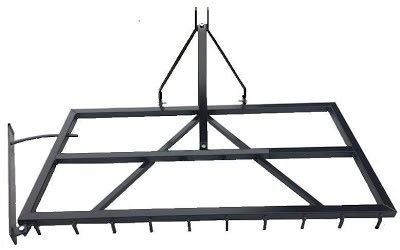 The 3 Point Tractor leveler is fitted with a 3 Point linkage frame assembly which means you have the option to lift the frame and reverse with your tractor to get right in to the corners of the arena where a lot of surface build up happens and also eliminates side to side movement and bounce when raking and leveling the arena surface. The arena levelers are 5ft wide x 3ft deep, one side has a row of solid round bar scarifying tines which hang off the edge of the frame by 50mm these loosen build up and level out the arena, whether you have sand, rubber chip, small wood chip, small fibre strips or sand/fiber mix the Pro 3 point tractor leveler will leave an excellent finish every time. 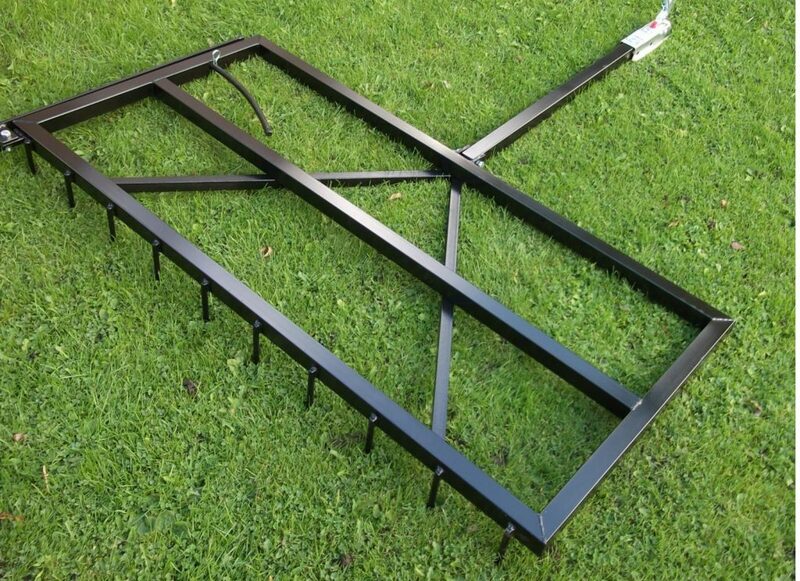 Our arena harrows/ levellers can be dispatched and delievered within 48 hours.